And so it goes with any vendor relationship. However, our goal here at BCS ProStaff is to be much more than another vendor on the books and become a trusted staffing and recruiting partner to your organization – augmenting your capacity to source top temporary and/or permanent talent. We all know there is never enough time in the day. Sorting through resumes, qualifying candidates, and scheduling interviews can be a tedious process. Hiring one new person requires a time commitment before they even accept. The time spent recruiting a single new hire can easily add up to dozens of hours and cost thousands of dollars. While you’re focused on your normal daily priorities – we’re busy reviewing dozens of resumes, scheduling and performing in depth interviews and qualifying candidates. Then, we package up our top picks and present only the most qualified candidates for you to meet with. Once a decision has been made we can also help with some of the onboarding activities such as calling their references and conducting background checks and drug tests if necessary. If you’ve ever posted a job online using a service like ZipRecruiter or Indeed, you’ve probably received dozens of resumes from underqualified or inexperienced candidates. Staffing agencies cover both the active and passive talent market – meaning we’re also reaching out to people who aren’t necessarily looking for a job. In addition to people out of the workforce that are actively seeking a new opportunity, we’re contacting qualified candidates who are already gainfully employed, which is critical at a time when the United States is experiencing record highs of employment levels. There are fewer candidates on the market searching for your job. Recruiter networks are expansive, and partnerships are built on trust. We’re connected to other recruiters and candidates that you may not have access to on your own. 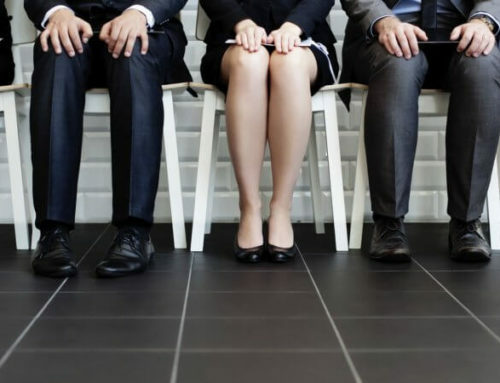 Staffing agencies understand how to validate a candidate’s resume, what questions to ask in the interview and how to determine if a candidate is the right fit for the job and your team. Here at BCS ProStaff, we offer proprietary ERP skills assessments that help assure the candidate is qualified for the job and can hit the ground running on day one with minimal training. You have enough to focus on in your regular day-to-day job outside of the hiring process. Unless you’re hiring dozens of people each quarter, you probably don’t have the budget for a full-time recruiter and all of the hidden costs that come with having an internal talent acquisition team. Staffing agencies are 100% committed to identifying, qualifying, and hiring talent for your team as quickly as possible. We typically already have a large network of referrals and talent that we’ve built over time who we work with on a regular basis. Chances are pretty good that we’re already in contact with a candidate who may fit your needs perfectly. The best external recruiters work with an established network of candidates – and by managing the process from beginning to end – they don’t need to present more than three to four candidates for one to get hired. Staffing agencies are well versed in forecasting temporary human capital needs and the timelines associated with getting them onboard for seasonal jobs. If a full-time employee is desired or you’re just not ready to bring someone on full-time until you’re confident they are a fit for the position and the team, temp-to-hire is a great option to “try before you buy”. For project-based work, it’s important to consult your staffing partner at least a couple of months before you expect the project to begin so they can help you create a timeline to source and onboard talent to keep you on track. We’ve already discussed how staffing agencies save you time and we have all heard the saying “Time = Money”. The truth is a staffing agency can actually help you save money in the long run. The time savings of letting an agency do the heavy lifting by identifying, assessing and qualifying candidates turns into continued, uninterrupted production for you and your team. Staffing agencies are constantly honing their candidate search skills and client networking. We can help you hire stronger employees while saving you save time and money. We have a pipeline of qualified candidates and we’re ready to get to work for you! If you’re looking for an experienced and committed staffing partner, we’d love the opportunity to help with your organization’s recruiting needs. Contact us online or give us a call at (713) 335-2349.